Today was a serendipity day. In the early days of the Internet we sometimes had to justify our existence. After all, who needed libraries and librarians when we had the Internet? Fast-forward to 2013 and the very techies who espoused that idea are discovering a compelling need for human intervention in contextualizing information. Taking the lead in this environment offers a huge opportunity for teacher-librarianship. This afternoon, I received a delightful email alert from Bradley Cook, the Curator of Photographs in the Office of University Archives and Records Management at Indiana University. 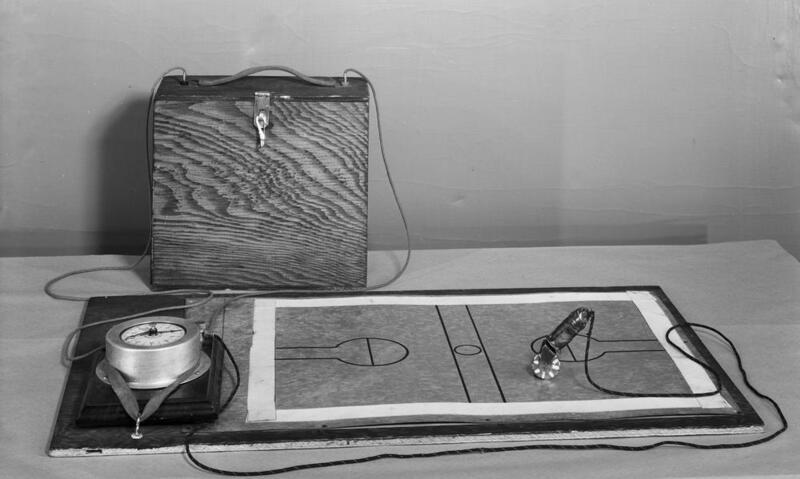 Bradley shared with me a link to a photograph of Lloyd Messersmith’s measuring device for quantifying distances traversed in basketball. This photograph appears at the top of this post and is reproduced here with the permission of the Office of University Archives and Records Management at Indiana University. The photograph was taken seventy-three years ago. The core element of content curation is the human touch. For librarians who found themselves defending that role in the early days of the Internet, one can’t help reflect on the irony of the rest of the world now realizing that they really do need help in filtering and sharing information effectively! Lloyd’s device is very significant. 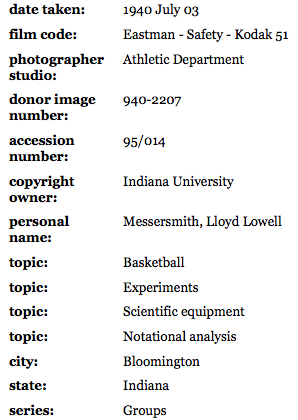 To my knowledge his thesis is the first to outline a technological tool to measure distances travelled in a sport (basketball) and as such makes him (along with Hugh Fullerton) a founding father of notational analysis of sport. I have written about Lloyd’s work and provide some detailed information about him. You can find out more about the outcome of Bradley’s curation work at this link. Next Next post: Cut to the Chase?